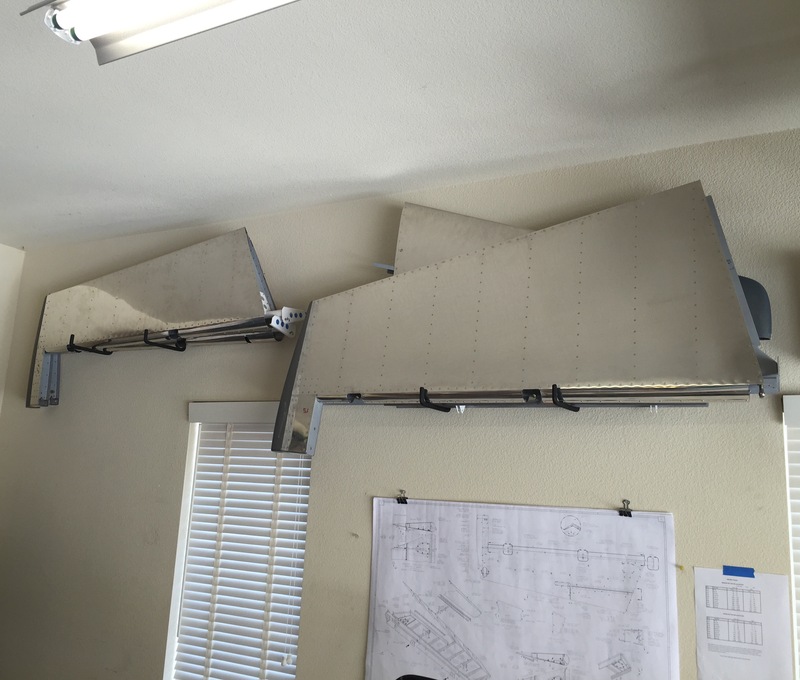 With the empennage 99% complete (fiberglass work not done yet) I finally got some hooks up on the wall to get everything out of the way. I also spent some time cleaning up the garage and getting things reorganized after I slacked a little and shop got a little messy. 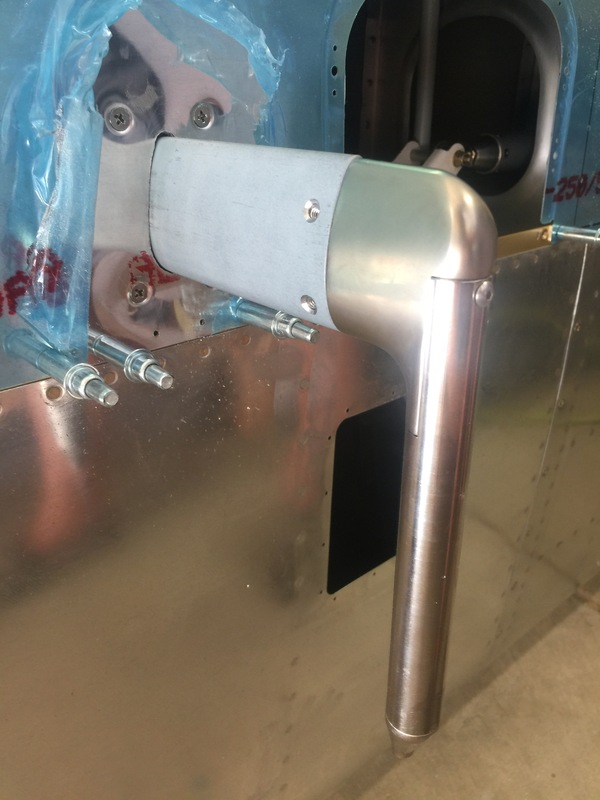 I then spent some time finishing up the pitot tube mounting provisions. 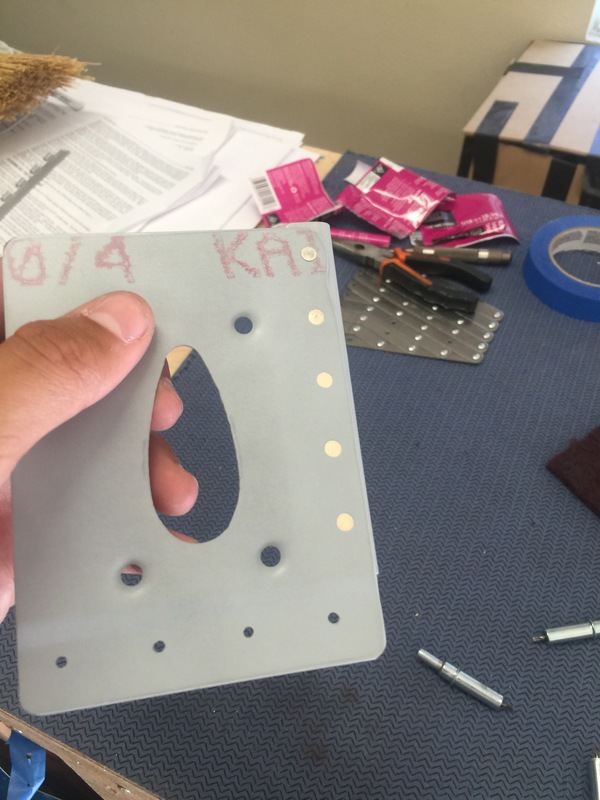 Here’s the pitot tube mounting plate, the rivets on the side attach to an angle support that will get riveted to the rib. Once I finished this I installed it in the wing. 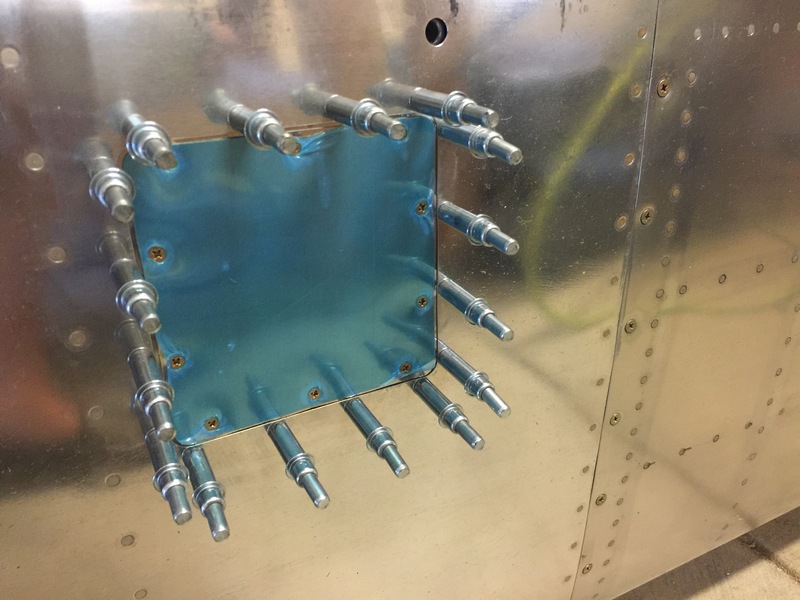 Currently there are no rivets that go through the wing skin into this plate except the ones that go through the spar. I may add more but the mounting screws hold the pitot mast and the whole installing is extremely rigid. Even with the setup clecoed, the pitot tube is extremely rigid. I’ve flown many Skyhawks that have more movement in the pitot tubes by a factor of 10! 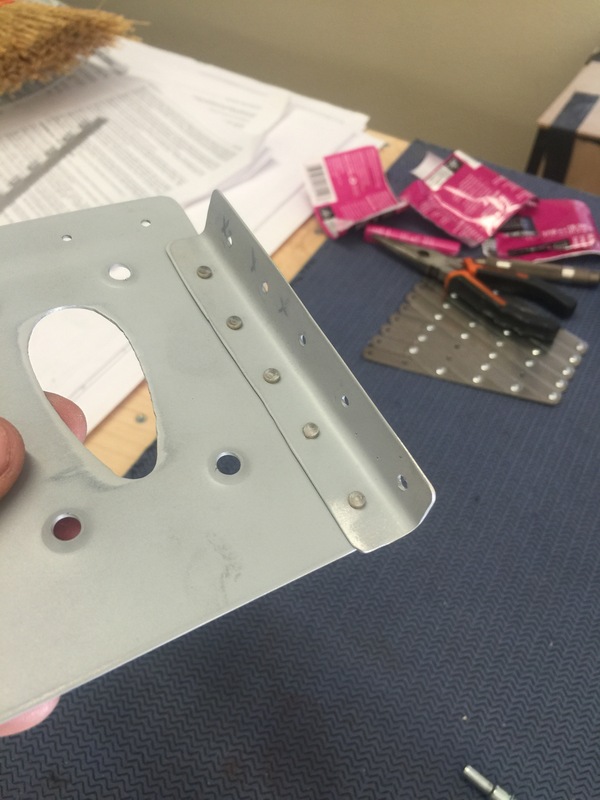 The doubler plate is installed behind and held in by the clecoes, the cover plate is installed with screws into plate nuts that have been riveted to the doubler. The doubler has been match drilled, dimpled, deburred, and primed and can be installed at any time. The Dynon pitot tube has angle of attack along with airspeed, which will indicate stall visually (on the EFIS) and audibly via my headset. 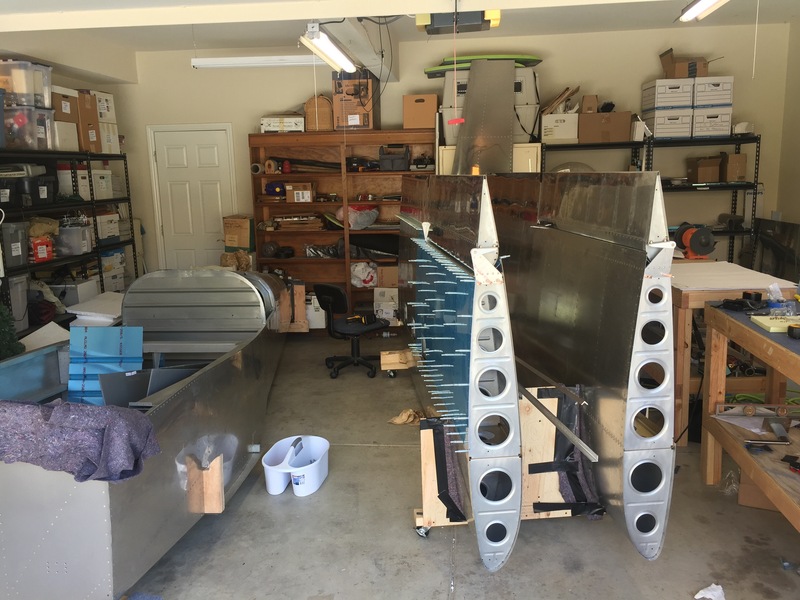 The wings are getting close to complete (or at least the majority of the work) and I will soon begin the work on the fuselage!